Following the reissues of 1997's Imagine-a-Nation (AD 004LP) and 1995's Le Fusion, Anotherday present a special release from the vault of the enigma that is Spencer Kincy, AKA Gemini: Gemini's first four releases, lovingly re-mastered and packaged together in a very limited box set titled The Beginning. Originally released on Relief Records, the Chicago techno label headed up by Cajmere, these releases were Gemini's introduction into the worlds of house and techno, and contain some of his most vital works. As one of Chicago's most mysterious and revered characters, the story of Gemini has become something of a myth in recent years -- blazing a trail throughout the '90s, prolifically releasing over 200 tracks from 1994 to 1999, Spencer's music had shades innovation and soul few of his peers could match. Then, suddenly, at the peak of his career, he disappeared. As before, this album has been licensed directly from the man himself, and the money made from its exploitation will go directly to him. The Beginning compiles The Beginning (1994), U Know How I Feel (1994), Imagine A Nation (1994), and Welcome To The Future (1995). Edition of 500. The story of Gemini aka Spencer Kincy, one of Chicago's most mysterious and revered characters, has become something of a myth in recent years. Blazing a trail throughout the '90s, prolifically releasing over 200 tracks from 1994 to 1999, Kincy had shades of innovation and soul few of his peers could match. Then, suddenly, at the peak of his career, he disappeared. 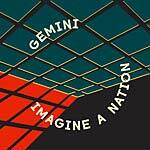 Gemini's most complete and varied album is 1997's Imagine-a-Nation, originally released on the Cajual sublabel Relief Records. You know the music -- every track is on YouTube, and expensive original pressings are available on Discogs -- but here it is in its fully remastered glory! Rumors and gossip of Kincy's whereabouts and situation have been rife in the music press, and rarely on the money. Kincy is alive and well at the time of this release, and wants his music to be heard. This album has been licensed directly from him, and the money made from its exploitation will go directly to him. 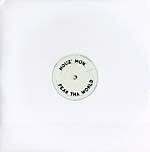 A track that will forever go down in Chicago house history -- "Fear Tha World" by unsung Chicago hero Houz Mon is credited as being the first-ever ghetto house track. Originally released in 1993 on Beat Boys, and despite an awful pressing quality, the original release has been selling on Discogs between £50 and £90 due to its painfully limited pressing. Ripped from the original DAT, Another Day presents "Fear" for the first time on vinyl in 21 years -- and the first time ever on beautiful virgin vinyl. 2013 repress. 2x12" version. Chicago gave us house music. Beginning in the early '80s, as rough edits of disco tunes and primitive drum tracks, spun in dank clubs in the city by DJs like Ron Hardy, Frankie Knuckles, Lil' Louis, Farley Jackmaster Funk, and Jesse Saunders, the incessant throb of house music soon started to spread around the world. With initial hits from Farley in the mid-'80s, the world fell in love with house; copying it, watering it down in more and more commercial strains. Attention on house music's birthplace quickly diminished, leaving the city full of kids brought up on the early raw sound of house. A second wave of DJs began to emerge, pushing a darker, more rhythmical strain of house that was currently being seen in Europe. DJ Sneak, Derrick Carter, Gemini, Cajmere, Glenn Underground, Roy Davis Jr., Paul Johnson, and countless others began releasing their unhinged take on the house sound, and began DJing in basements all over the world, but being largely ignored by the now-gargantuan house music audience worldwide. 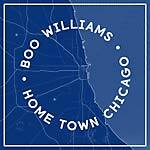 Debuting on Curtis Jones' Relief Records -- the tougher sub-label of his Cajual label -- Boo Williams dropped his A New Beginning EP in 1994 and quickly established his own sound. 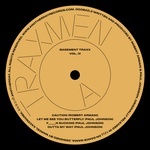 More ferocious releases for Relief followed, as did a 12" for renowned Dutch techno imprint Djax. Come 1996, Relief offered Boo an album release, for which he delivered Home Town Chicago, Boo's electronic love letter to house music. While still driving and heading straight for the dancefloor, Home Town Chicago showed a softer side to his sound, and is the perfect place to start Anotherday -- a new label dedicated to shedding light on forgotten classics.